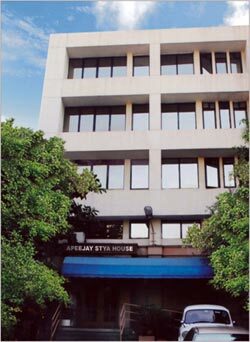 The Apeejay Stya Group, founded in 1942, is a leading Indian Industrial & Investment House with interests in Automotives, Chemicals & Plastics, Distribution, Logistics & Retail, Life Sciences and Real Estate, and has a nascent presence in Information Technology, Merchant Banking & Financial Services and Publishing. It is a major corporate house in India and has several alliances and foreign collaborations with a significant presence in Europe, Middle East and East Asia. The Group also has a large social commitment under the aegis of the Apeejay Education Society. The Group has a highly entrepreneurial and innovative culture, which prides itself in its execution abilities, global perspective, the cultivation of intellectual assets [including human resources and brands], long-term relationships and the ability to work aggressively in cross-border activities.